Tick Keys are an easy tool for removing ticks from people and pets. Ticks are a serious problem in our area, but we also want to be able to enjoy the great outdoors with our kids and pets. Almost every day we see someone in our office who is suffering from the long term effects of Lyme disease. 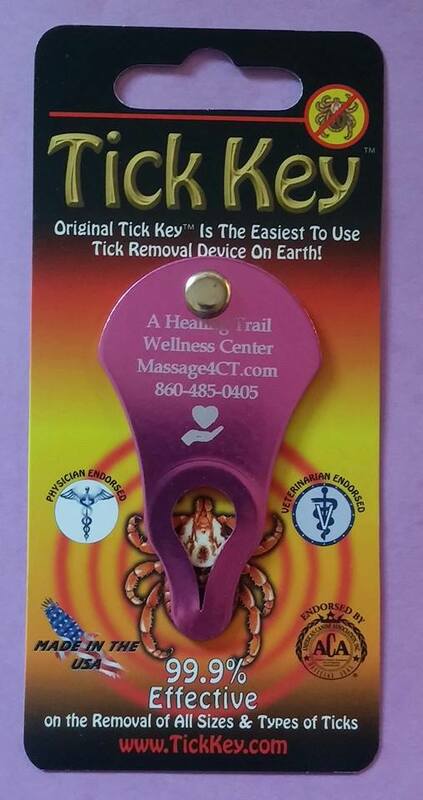 I placed a large wholesale order for these tick removal keys. They are now available at our front desk for below wholesale price because I want EVERYONE to have one on their key chain. Stop in and pick up one for every member of your family.